Find a job that improves lives and exceeds expectations. Improving Lives. Exceeding Expectations. (I.L.E.E.) 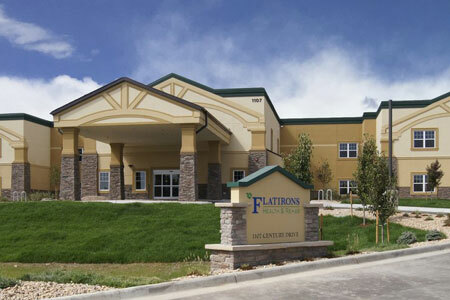 is the mission of our 10 companies consisting of assisted living communities, skilled nursing facilities, behavioral health hospitals and a service center. We believe in providing our patients, residents and families with the most knowledgeable, timely and compassionate care possible. However, we also treat our employees the I.L.E.E. way. We understand that our employees are what help us achieve success. "It starts with an awesome team of individuals with different ideas, responsibilities and capabilities driven towards one goal: resident care. It’s a fun environment to be in with different challenges on a daily basis, you learn something new everyday. Best place to work." "That it’s like one great big family. Everyone works together as a team in a fun environment." "The family environment, staff, residents and family members truly care and encourage one another." "The staff is amazing! We are always willing to help one another." "I feel like we’re helping the community and bringing up the standard of the industry. The people are friendly and the staff are great." "Working at Derby Health & Rehab has been wonderful. The people are great, the residents are great. Everyone is easy to get along with and jumps in to help if you need. You get to know so many different people and their stories, it makes it work it. At the end of the day, even if I’ve ran around like a chicken with my head cut off, I still feel like I’ve improved someone’s life and exceeded their expectations. " "I enjoy how the facility makes their employees feel appreciated for their hard work." "My unit manager is wonderful! He’s always willing to step up and help on the floor if we need it. He’s great with our residents and their families. We have a great team in the house I work in and both long-term care houses have a great teamwork mindset when it comes to helping each other out."